Many Fone Casino’s are now available and it is becoming difficult for punters to choose the best one. If you are looking for something that is different, unique and trustworthy, mFortune Casino is just what you need. 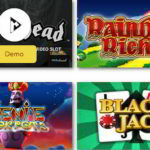 The largest Fone Casino site, it is packed with bonuses and games which will never cease to thrill. The site provides limited slots but promises to increase their numbers soon. All the slots at mFortune Casino are unique and cannot be found anywhere else as they are prepared in house. Though a small number all the games have a variety and are highly detailed with great animation and marvellous graphics. 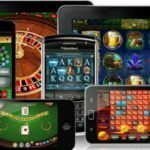 Other Fone Casino games offered are Poker, Roulette and Blackjack which maximise the gaming experience through your smart phone device. 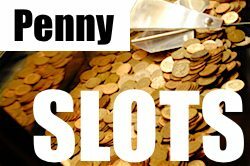 Other than amazing games, the site also has kickass promotions and bonuses which are given regularly to entertain punters. mFortune Casino gives a welcome deposit to new players; £5 is given so that you can enjoy the slot games without spending any of your own cash. Also the site matches up to £100 your first deposit by 100% so if you deposit £100, your mFortune Casino account will be credited by double the amount so you can play with £200. It is good to have friends and you are to be rewarded if on your invite your friends register to this site. You will receive £5 for free by mFortune Casino for every friend who joins and also your account will be credited by 50% of what your friend’s first deposit is! Still looking for more bonuses? Join their Facebook page and you will receive free bonuses. With the free-to-enter weekly competitions hosted by the site you can increase your winning stakes. Every Tuesday and Friday, mFortune Casino gives out great prizes for the Bingo games which are irresistible. 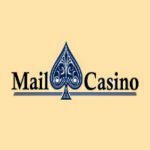 Bingo players at mFortune Casino are also given loyalty points, so if Bingo is something you really enjoy at Fone Casinos, this is the perfect site for it. 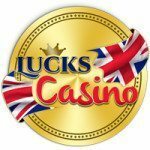 Just take a peak to their page and read the descriptions for the bonuses, you will definitely make an account that very moment because they offer appealing bonuses more than any casino. All the depositing and withdrawal methods at mFortune Casino are completely safe and easy, if you have any doubts you can quickly skim through their page where the various methods are described. Along with screenshots mFortune Casino explains the payment steps which are real quick. You can also pay from your phone with the casino phone bill facility which is given by major networks such as Vodaphone, Orange, T Mobile and more. A simple, unique and exciting site, mFortune Casino is a boon for gamblers.